Grand Bay National Estuarine Research Reserve. 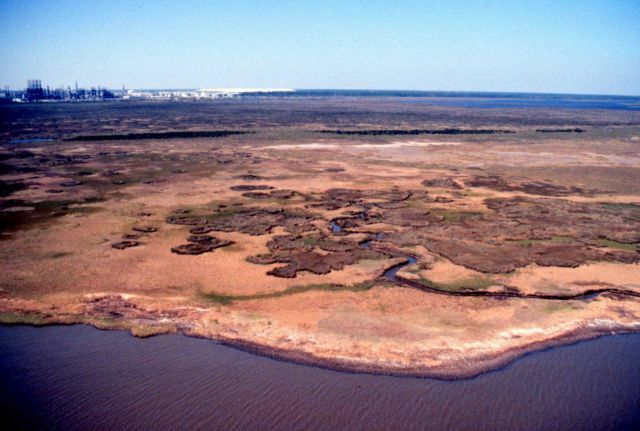 Northwest showing eroding shoreline and high marsh, Point aux Chenes, southwestern portion of reserve. Mississippi Phosphate Company waste gypsum stack and Chevron oil refinery visible to northwest. Taken during LSU aerial shoreline survey of October 1998.